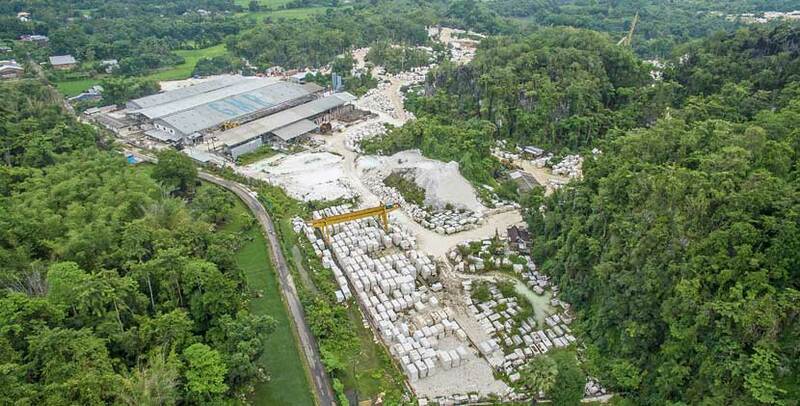 Our factory as the main production site is located beside its quarry in Pangkep, South Sulawesi. 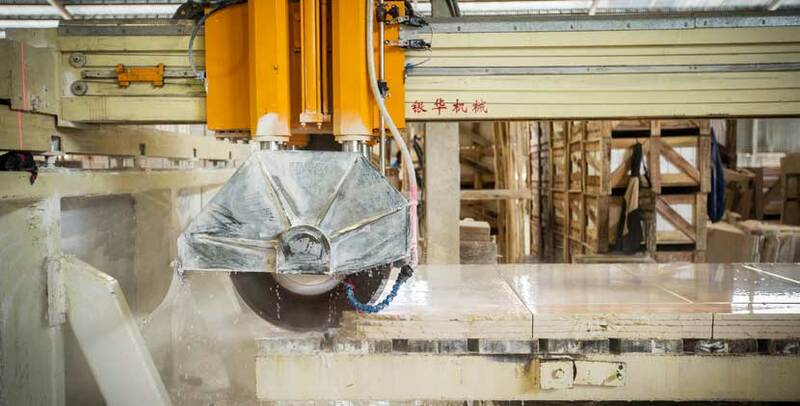 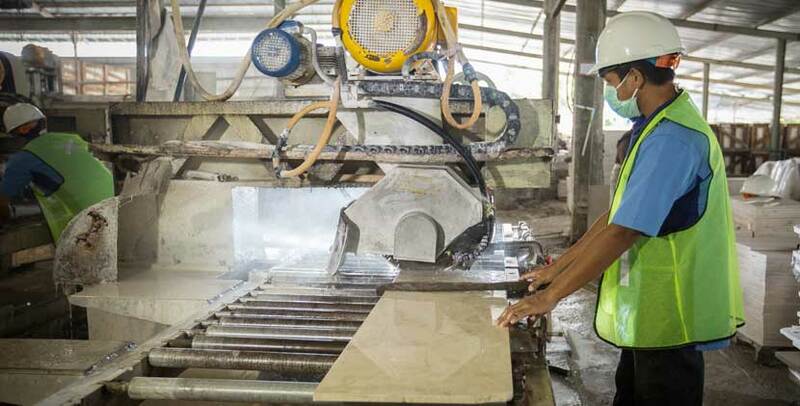 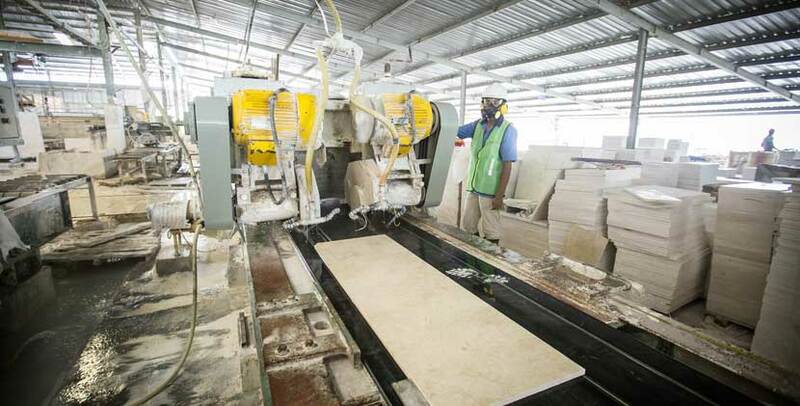 The site is supported by integrated production plants consisting of gang-saws, splitting, calibrating, grinding and polishing lines, block cutters and bridge cutter. 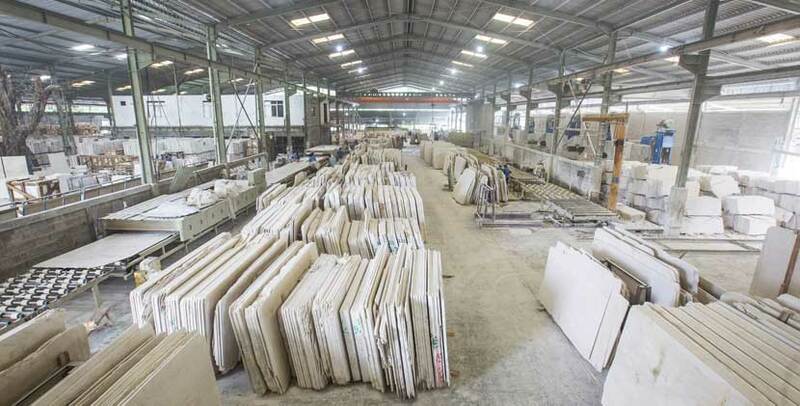 Our factory’s production capacity is 45.000 m2 per month. 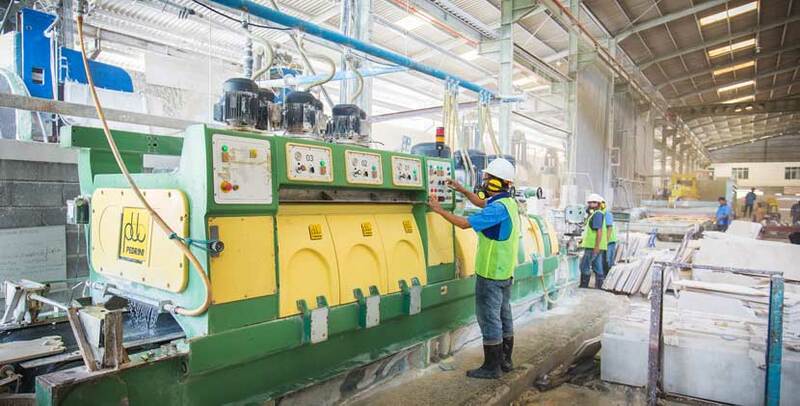 All machinery and technology in our factory are always up to date and purchased new. 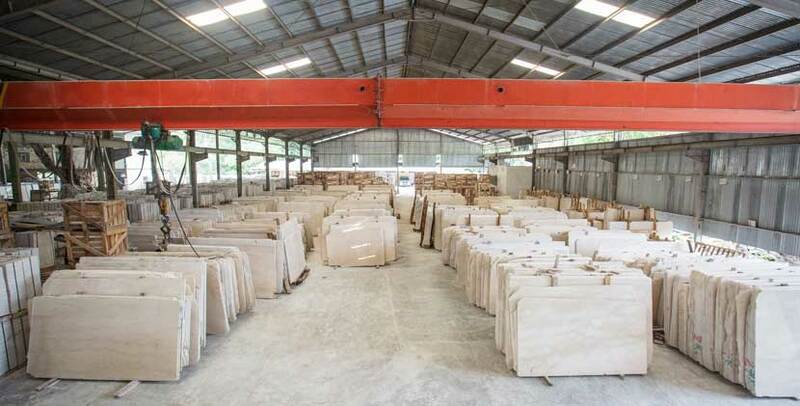 It is the company’s commitment to deliver best quality product to our customers while providing a touch of art and luxury. 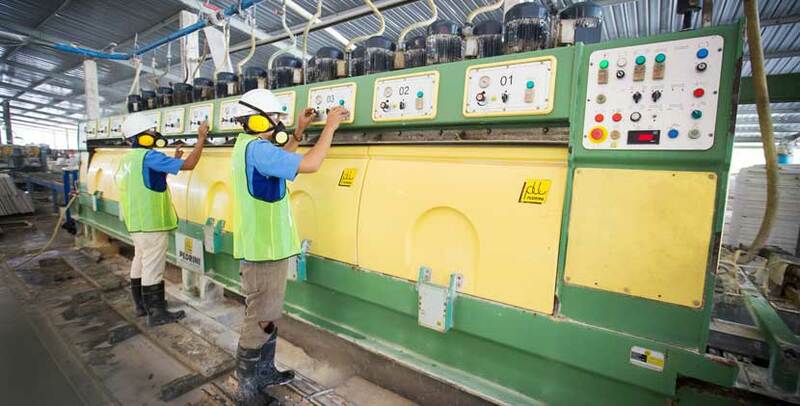 We integrate a total quality control management in each production step as to ensure the product meets customer expectations.